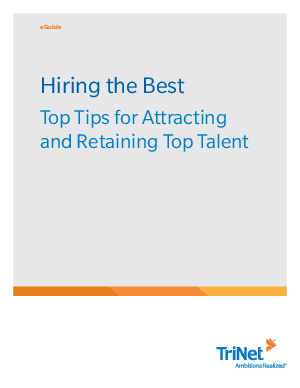 Hiring exceptional talent is critical to your business success. Whether it’s the executive who offers visionary leadership, the manager who can quickly execution business plans, or the sales professional who won’t settle for less than 100%, a business needs great people to thrive. And employers should always reach towards the goal to bring the best to their organization in any economic climate. Here’s a look at best practices for securing the top talent you need to drive business results.